We have been carefully following the weather forecasts online and on the news channels, and have decided it is best to cancel Sat classes tomorrow due to the snow and icy road conditions predicted from 4-11am. We had planned an end-of-session, holiday celebration with Christmas cookies and such, but will greet you with these in the New Year instead. Keep safe and warm. (fyi… temps are supposed to reach 50’s on Sunday!). Merry Christmas! 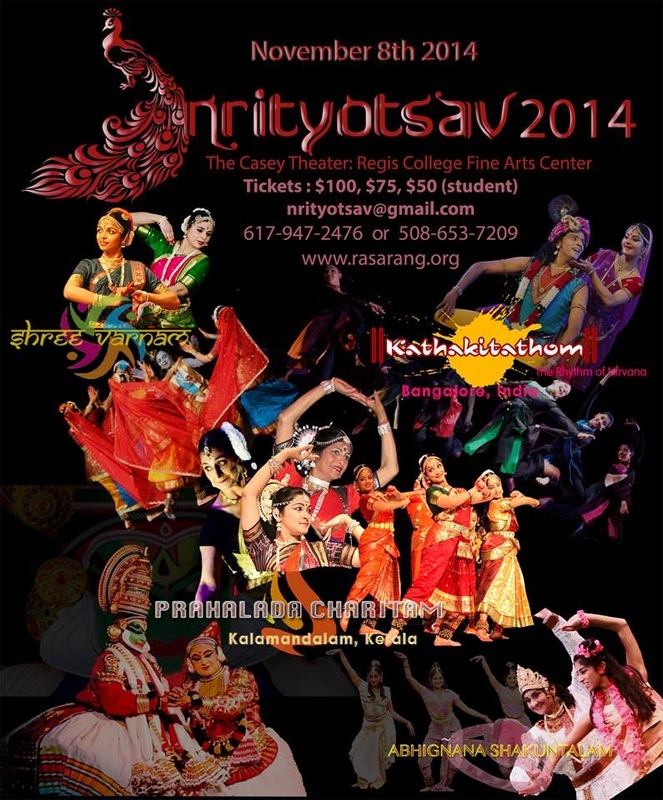 Wishing you a Joyous and kathak-filled New Year— one with peace and harmony prevailing! We’ll be in touch with the calendar for the coming seession and other information, and please note that Chhandika classes start up again on January 4th. Namaskar. Below is an invitation from one of our affiliate schools, Chhandam Nritya Bharati, India. If you have friends or family in the Mumbai area who might be interested, please let them know about this special event! In memory of our Guruji, Pandit Chitresh Das, we are presenting Rhythm Rewritten, as a tribute to the great master. This tribute is by Begum Parween Sultana, Jason Samuels Smith and Seema Mehta. Tickets available at NCPA Box Office and bookmyshow. Hope to see you there! Immerse yourself in the study of Kathak, with intense footwork, bol/ paran, Hindustani music and songs, abhinaya and history. 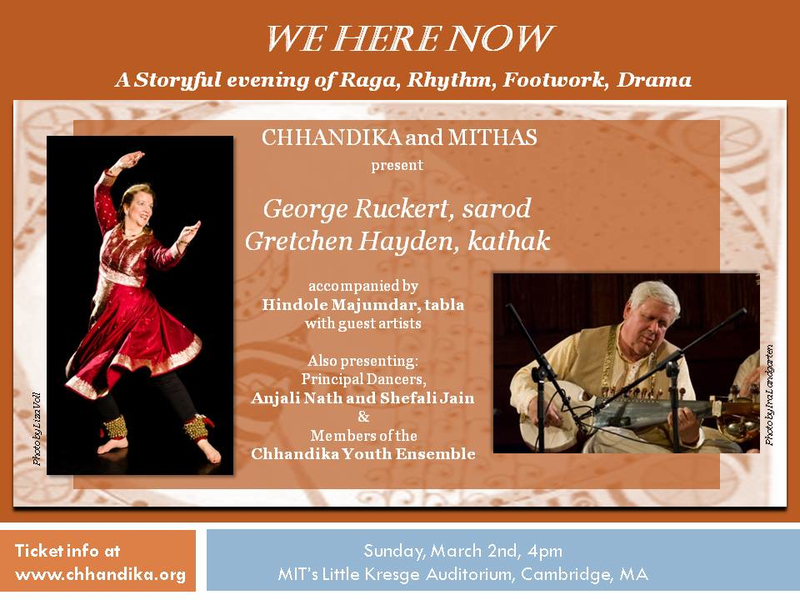 Includes a special music workshop with George Ruckert and abhinaya workshop with Gretchen Hayden. 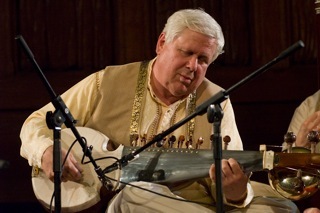 Introduction to Hindustani classical music, sargam, taal and theory. Free and open to the public; reservations required. Click below for details on timing and location. Chhandika is excited to announce the opening of a new branch in Chelmsford, MA, with classes for beginner children, teens and adults. 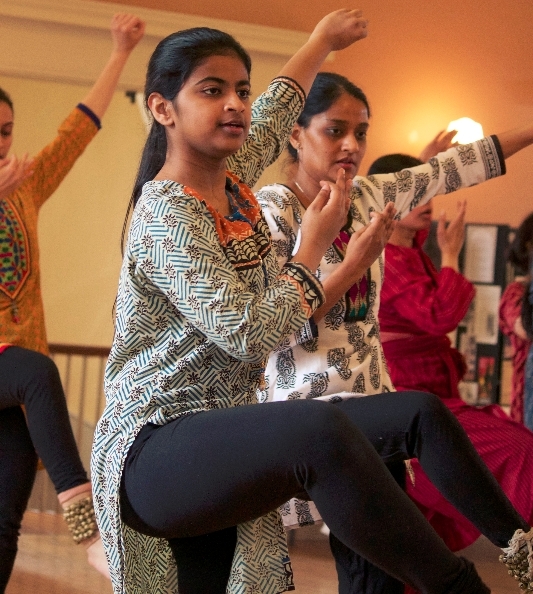 Come watch performances by senior Chhandika dancers (including Anjali Nath, member of the Chitresh Das Dance Company) and chat with branch director Shelley Chhabra.